The technology is growing at a rapid rate; innovative technology solutions are highly helpful to meet our ongoing demands. Gone are those days when watches were used to check the time, the watches now can do a lot more than just notifying the current time. The digital watches were a raging amount of kids and adults; the kids highly liked the inbuilt calculator. Checking time was comfortable with digital watches. The demand for smartwatches for kids is growing day by day. It is beneficial for the parent to keep track of the kid’s route. Moreover, kids are also super excited to wear it. 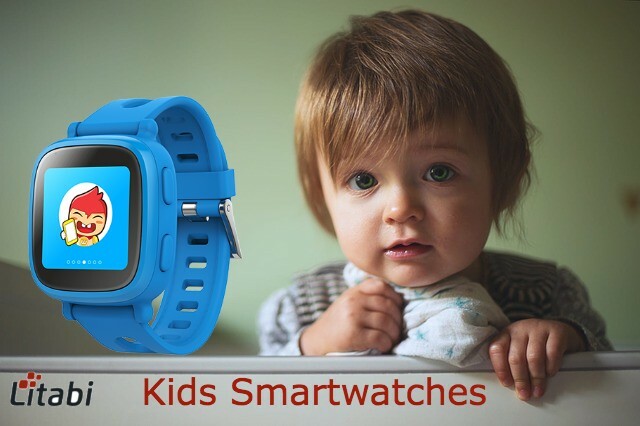 The smartwatches are worn on kids wrist which syncs with the smartphone via an app and notifies so that you can track your child’s current location. The smartwatches are also capable of capturing and storing the images apart from indicating actual timing. Here is the list of the best smartwatch for kids with features, pros & cons! If you are searching for a smartwatch which offers precise location details, DUIWOIM smartwatches are the ideal choice. The location accuracy is excellent; you can keep track of the child’s current location via GPS, LBS and also Wi-Fi. When you are connected with the device, you can continuously receive updates on their change in location. The location accuracy works great when it is connected via the SIM card. The design of DUIWOIM is a chick and is very minimalistic keeping the audience in mind. 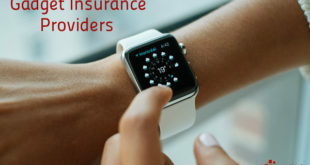 Each smartwatch has a charging connector port on its side and SOS button which comes handy during an emergency. The screen size is pretty large and easy to use; there is also a front camera. The smartwatch from DUIWOIM comes in two color choice, blue and pink. This smartwatch allows the child to send messages in the form of text and voice. It is essential to invest in GSM network sim-card to get accurate details of the current location. In case of an emergency, the child can press the SOS button to notify you immediately. The DUIWOIM smartwatch comes with additional features like fitness tracker and pedometer. You also have an option to watch their activities when the kid’s areaways. DUIWOIM comes with an inbuilt game which stimulates logical thinking. The SOS button, IP67 waterproof, and triple posting make it the best smartwatch for kids. The triple posting to track the child, i.e., via GPS, LBS and Wi-Fi. Can make calls and send a message via text and voice. The smartwatch comes with only 24 hours’ time format, making it difficult for young children to read the time. Lack of interesting games to keep the child occupied. If you are looking for a smartwatch within budget, Kurio is the best choice. It is an interactive product for kids, and the smartwatch has huge interesting games for kids. The memory of this smartwatch is 256 MB, and you can also add 32 GB memory card to it. The best part is, Kurio smartwatch allows you to download many applications and games. The kids can also enjoy playing two player games. Apart from the app games, the child can happily indulge in outdoor sports. The excellent feature of motion sensor allows the parents to keep a tab on kids even while they are busy with their games. The design is sleek and stylish; it looks great on the kids; the overall design is minimalistic. You also have a front camera which enables the child to record as well. The child can only reach their parents via call or text using Bluetooth. If the child exits that particular zone, it is difficult for the parents to contact the child. The smartwatch lacks an important feature that is the GPS tracker. The Kurio smartwatches have exciting features like photo editor, calcinate and alarm clock. Inbuild activity tracker helps the parents to monitor their kids and routine. The smartwatch comes with inbuilt 256 MB; you also have a slot to upgrade the same. Access to more than 20 awesome games for kids. The front camera and recording option. Additional features like activity tracker to keep a check on the child’s activity. There is no presence of GPS tracker; it is difficult for the parents to track the child when he/she is away from the zone. If you are a little flexible with the budget and are ready to invest in a smartwatch with excellent features, Xiaomi Amazfit Bip is the best choice. Ideal for teenagers and older kids. The watch is well protected against water and is IP68. Not a suitable option for long showers and sauna. It is must sync the smartphone with a device so that the GPS is activated. The look of Xiaomi Amazfit Bip smartwatch is similar to apple smartwatch for kids. The watches look neat and small on the wrist. Moreover, the watch is extremely lightweight; it is just 1.1 oz. You get to choose from 4 smart colors, i.e., black, orange, white and dark green. The body is made with plastic, and the display is secured with gorilla glass. This children smartwatch is more like a personal device. These are specially designed for teenage kids. It uses GPS and GLONASS and helps to determine the location accurately. The clock also syncs with the satellite to provide precise detailing. Tracking the route and speed of the device is possible. This smartwatch comes with barometer and altimeter to keep a check while you are into physical activities that include cycling and running. It notifies the users about upcoming events via mail, messages and app notification. It allows you to reject or ignore the incoming calls. The battery life is long lasting and does not require much recharging. The battery life stays up to 35-40 days. You can track the heart rate and track activities. The most significant benefit is the long battery life which can stay up to good 40 days on a single go. The watch is sleek, lightweight and smart. The display is well protected from dust and moisture. Not a suitable choice for kids, the audience are the teenagers. The display quality is not up to the mark. You can not respond to calls and notification. Garmin is a known brand when it comes to trending and high feature smartwatches and fitness bands for the kids. The primary focus is to encourage both kids and doubts about staying physically active. The Garmin smartwatches are best for parents, they can keep track of their kids, and the child can stay physically active at the same time. The setting up of this kids phone watch is simple and straightforward; it takes just 7-10 minutes to get started — the screen display’s time by default. The designs are too good to be ignored, the smartwatches from Garmin has cool themes like Captain America, Disney characters, Minnie Mouse, Marvel and a lot more. The child gets multiple options to pick their favorite character. The parents have the option to check all the child’s activity via indicators on their smartphone apps. You can also see the total number of steps walked; overall hours spend to do the activities and even the duration of nap time. The primary focus of the app is to motivate kids to work out and indulge in mini-games. The smartwatch enables the parents to assign everyday tasks and keep a check on the same. The kids get to choose from broad themes. The feature of pedometer helps to track daily steps. The are some features which enable the child to compete with their friends and win coins. Parents can assign an everyday task. The size of the display is too small. There is no option to track the child via GPS tracker. The brand VTech is a renowned electronic manufacturer in North America; the brand is famous for developing high-end learning and educational toy for growing kids. The VTech Kidizoom Smartwatch DX2 is elegant and perfect for the child aged between 4 to 9 years. The smartwatch does not have any GPS tracker; the parents cannot track the child or contact them since they don’t have an option to use a SIM card. The square dialed watch looks elegant, and it comes with two control buttons. The silicone bracket is gentle on the child’s delicate wrist, and clasp helps to keep the bracelet intact. The watch comes only in two color blue and pink, for boys and girls respectively. This kids smartphone watch comes with both front and top camera, it allows the child to take photos and record videos. There are multiple filters which would enable the child to showcase their creativity. With the help of micro USB cable, you can upload the picture on your electronic device. The smartwatches come with exciting games that include dances, a logical puzzle, jumps and a lot more; You can also download games of your choice from PC. It works as a fantastic digital gadget for the child. You get access to micro USB cable to upload images and video. It has a pedometer to keep a track on a child’s everyday step count. Get access to 256 MB memory. The child gets to enjoy various games on a smartwatch. Comes with two cameras to capture images and videos. The design is super cool and comfortable for kids. You cannot locate the child’s location as there is no GPS tracker. The child can’t contact their parents via messages or call. Based on the feature and preferences, you can find the best smartwatches for your child. The digital gadget should be useful for both parents and child. The above-mentioned kid’s smartwatches are some cool options to introduce technology to your beloved children. Nirmala is a dedicated blogger who blogs about technology. She is one of the active partners in this blog who would like to publish posts on her fascinating topics. What’s The Importance of Conversation Activities While Learning a Language? How To Create Folder In Android? Where To Buy Cheap iPhone Cases Online?